I hesitated when he opened his eyes and met my gaze. I wasn’t prepared for the intensity in them. I lowered my eyes, unable to hold back the words spilling past my own lips. Sawyer gripped my chin and tilted my head up. I caught his breezy, cedar scent and forgot to breathe. His eyes shone like two suns. 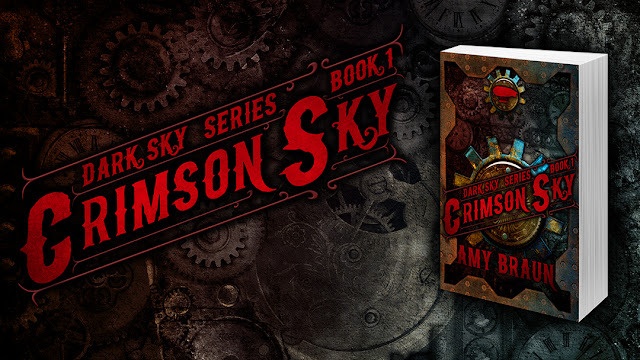 While Crimson Sky is still doing really, really well as far as I'm concerned (and while the winner for the One Book Two giveaway has been announced, you can still win swag and a copy on Goodreads), I haven't spent as much time writing new words. I know what you're thinking– that's crazy, but it;s also true. I'm finally coming out of that weird space between completing one book and moving onto the next. I'm almost done the plot for my rewriting of the first book in the Areios Brothers series (now five books and two novellas instead of six books and three novellas), and will likely begin rewriting it completely once I'm done formatting Damnation's Door, the last Cursed book (provided I figure out how the hell Scrivener is supposed to work) and when I finish my edits for Midnight Sky, the next Dark Sky book. That being said, by the time I'm done the edits for both of those, the edits for Storm Born will likely be in. I'm dreading that like I'm dreading a punch in the face, but at least I know that I want– and will– make the story better. I'm also going to be finalizing the details on the world for Agents of Limbo, another new urban fantasy series that I'm hoping to start in the next few months. Anyone who read Path of the Horseman will get a kick out of this series, since the main character, Leon, is a lot like Horseman's anti-hero, Avery. Not that I would put them in the same room together. That would end badly. Anyway, that's what's happening! Lots of work ahead, but thankfully I have a short work day today and the next couple days off. I'm hoping to at least get two things crossed off my To Do List so they can stop looming over my head. Hope everyone enjoys their weekend with their loved ones, and if you're single, just remember that chocolate will be super cheap tomorrow! Be sure to check out the other Weekend Writing Warriors' blogs, since you'll find a lot of new, romantic authors to read. Until next time, cheers! Yep, Claire has gotten herself in for more than she bargained. Oooooh, I loved that last line! Great snippet! Nicely done! You always capture terrific detail in your writing! When your immersed in a project it's hard to let go and jump to a new one. Separation anxiety, I guess. Love the snippet! Excellent job triggering the senses with this snippet! She reminds me of me; like Caitlin says "making a mountain out of a molehill". I'm glad Sawyer is sympathetic. Mmmm, that turned out to be a delicious little snippet. Love that last line, Amy! Wonderful imagery! And the banter-- tantalizing. I have to agree with the others--the last line is perfect.